ViewSonic Europe today unvieled a duo of mobile device which will be showcased at upcoming Mobile World Congress 2011. The first is a Dual-SIM Android Smartphone which can operates on two network services at the same time. 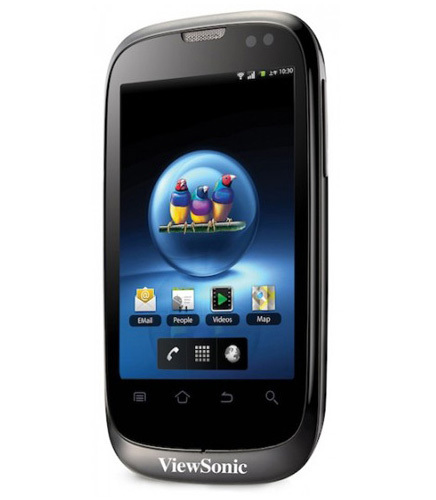 The model called ViewSonic V350 has 3.5 inch (320×480) touchscreen and running Android 2.2 Froyo operating system. It is also equipped with A-GPS, WiFi, Bluetooth 2.1 , microSD card slot and 5-megapixel auto-focus camera. The other device is ViewSonic ViewPad 10Pro tablet which boats 10-inch 1024 x 600 LED-backlit capacitive multi-touch display and has dual-boot functionality, allowing quick switch between Windows 7 Professional and Google Android 2.2. This will let users to access business software that only runs on Windows and investigate Android without switching completely. It is one of the first tablets to have the Intel Oak Trail processor.There’s also 3G connectivity, Wi-Fi and Bluetooth and a battery that can sustain at least six hours of life.